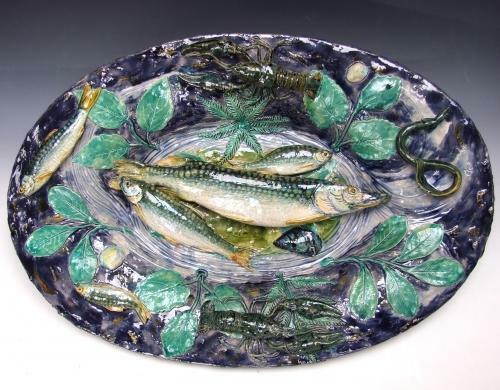 A fabulous and important Renoleau fish motif charger, the fish beautifully glazed with delicate scaling, the cobalt blue ground overlaid with foliage and crayfish. French c1880. Signed to border.